The process of obtaining even one concealed handgun carry license can be time-consuming, convoluted, and incredibly complex. This article is the second of a multi-part series. The purpose of this second article, and of those that follow, is to establish a cogent, coherent case for universal concealed handgun carry reciprocity based on pragmatic grounds. 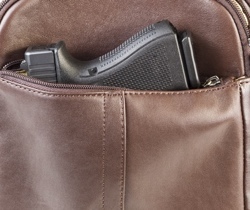 In our first article of this multi-part series, as posted on the Arbalest Quarrel website, we provided you with the legal and moral grounds for universal concealed handgun carry reciprocity and responded to the usual arguments that antigun proponents and zealots raise against implementation of concealed handgun carry reciprocity across the United States. In this segment of our series, and of those that follow, we provide you with the pragmatic grounds for universal concealed handgun carry reciprocity. We illustrate for you the travails encountered by one individual as he attempts to secure for himself a number of concealed handgun carry licenses from multiple jurisdictions that will allow him to protect his life and well-being with the most effective means possible – a handgun – as he travels in and through several States to conduct business. We look at: one, the actual police licensing division handbooks and application forms of particular jurisdictions; and, two, the actual procedures involved in applying for and securing a handgun license. In providing you with and discussing the content of actual licensing handbooks and application forms, and, in setting out the procedures and events that took place for our businessman, whom we employ as a test-bed for illustrating the onerous nature of handgun licensing generally and whose personal experiences form the basis for this exercise, we have taken certain liberties. First, the handgun licensing manuals or handbooks and application forms, that we point to and discuss at some length, are current as of the time that any particular article in this multi-part series is posted. We do this for a couple of reasons: One, firearms laws and procedures go through a process of change in the course of years – often, unfortunately, becoming more draconian and formidable, rather than less so as time passes. If we are going to explain to you the handgun licensing procedures of various jurisdictions, it would be more helpful to you, if we explain the state of firearms’ laws today, rather than yesterday. Two, at the time that the individual, who is the subject of this multi-part series, obtained his first few concealed handgun licenses, police department websites that make it easy to obtain handgun licensing handbooks and application forms were nonexistent. So a person – in this case, our businessman – had to allocate the time to drive to the appropriate police station to obtain the necessary handbooks and forms. And a personal visit often required him to wait in line, for an hour or more, simply to request a copy of the handgun licensing handbook and forms, that he needed, as these documents and forms were not “hanging on a rack” or “sitting on a table” – readily accessible to the public. Second, we have found it difficult to reconstruct the exact sequence of events that our businessman went through to secure his first handgun licenses and it is difficult to reconstruct the precise sequence of events involving renewal of those licenses. So, we have had to attempt, as best we could, to reconstruct those sequence of events. But, keep in mind that the important objective here is to make the point, demonstrably, that obtaining an unrestricted concealed handgun carry license is not a simple endeavor, to be undertaken casually. The process of obtaining even one concealed handgun carry license can be time-consuming, convoluted, and incredibly complex, and, for most of us, quite expensive. Moreover, at the end of the day, there is no guarantee that an applicant will obtain his or her prize. We would hazard a guess that police departments across the Country are, generally, reluctant to issue unrestricted, “full concealed carry” handgun licenses. And, the licensing officers are often given wide latitude and discretion in doing so. If, then, a person is refused issuance of a concealed handgun carry license, that person must go through the ordeal of a police administrative hearing, and, sometimes, administrative appeals that, ultimately, may very well go against the applicant, thus requiring a lawsuit after all administrative all appeals have been exhausted. And law courts, too, are not generally predisposed to find in favor of the applicant who desires a “full carry” handgun license. The standard, in many courts, is “abuse of discretion.” If the applicant fails to prove, through the proffering of evidence, that “abuse of discretion,” occurred in his case, that applicant will end up empty-handed, with nothing to show for the experience but frustration, some not unexpected anguish, and the loss of considerable time and money spent chasing shadows. At present, since universal concealed handgun carry reciprocity doesn’t exist, the law-abiding American citizen who wishes to exercise his natural right of self-defense as embodied in the Second Amendment must wade through a quagmire of laws, rules and procedures if he or she wishes to secure a concealed carry handgun license. The application process in the vast majority of jurisdictions across the Country is complicated, expensive, and time-consuming. The law-abiding citizen, who wishes to secure one or more handgun licenses for himself or herself, must exemplify the qualities of patience and fortitude. According to the NRA-ILA, only a handful of States, as of the posted date of this article, allow the law-abiding American to carry a handgun concealed, for lawful purposes. In the following segments, beginning with Part 3 of “A Road Trip with a Handgun” we provide you with a pragmatic look at what the typical law-abiding American citizen must contend with as he undertakes the arduous task of obtaining concealed handgun carry licenses in a multitude of States – licenses he needs that allow him to protect his life as he conducts business across State lines. In what follows, the identity of the businessman, upon whose experiences this exercise is loosely based, has been kept confidential in order to protect his privacy. We have also changed certain details of this person’s life, including the nature of his business, and specific points in time when he actually applied for the various jurisdictional pistol licenses. But, the situations that we discuss here – the hurdles this American citizen, and resident of Nassau County, Long Island, New York, has had to face and overcome to first obtain and then, periodically, maintain his concealed handgun carry licenses – are all true. The point of this exercise, in describing the complexity of securing concealed handgun licenses in several States, is to educate you and to sensitize you to the harsh realities involved in simply securing for yourself the means by which you might best exercise the basic right of self-defense that underlies the Second Amendment guarantee. In a very real sense the sacred right to keep and bear arms that is etched in high relief in our Bill of Rights – a Right that would not exist but for the blood that was spilled by Americans in forging our Nation – must be fought for yet again, but this time Americans must wage war against oppressive governmental bureaucracies that our Nation has devolved into. That this war must be waged at all is due entirely to the efforts of all too many State and federal Legislators and to the efforts of their backers. Antigun proponents and zealots do not recognize or have otherwise long-since forgotten that the average law-abiding American citizen has the right to defend his or her life and if that right is exist as something more tangible than vacuous words, it must be permitted real expression. And this means that Americans ought to be able to defend their lives and well-being with the best means available for namely, through that provided by a firearm. Universal concealed handgun carry reciprocity among the several States would go a long way to safeguarding and effectuating the import of self-defense as embodied in the Second Amendment. We refer to our businessman, here, by the name Mr. Wright. Mr. Wright has an impeccable, unblemished record: no arrests, no instance of drug abuse, no history of mental illness, no domestic disturbance incident and no physical handicap that would otherwise preclude the issuance of some sort of handgun license. In other words, there is nothing in our businessman’s past or present life and circumstances that could conceivably be ground for immediate rejection of issuance of a handgun license of some sort. That is to say, good cause for denying our businessman the right to possess a handgun or, for that matter, from possessing any firearm does not exist. But, our businessman doesn’t want a restricted handgun license because that would effectively preclude him the use of the weapon for self-defense in many environments, which is precisely why many jurisdictions are loathe to issues such licenses to average, law-abiding Americans. They do not want Americans having access to handguns for self-defense. Yet, our businessman seeks an unrestricted, concealed, “full carry” handgun license or permit for just that purpose: self-defense. But, to obtain an unrestricted, “full carry” license in many jurisdictions, such as New York, there is a higher standard that an applicant must meet. It is not enough to show that good cause does not exist for denying a person the right to possess a handgun. The applicant must show that good cause exists why that person should be permitted the right to carry a handgun, concealed, for the purpose of self-defense, in a public space – that is to say – outside of one’s home or business. In other words, the applicant must show why some aspect of that person’s life places that person in more serious danger than the average law-abiding American faces. That higher standard is very difficult to meet and often requires the assistance of a professional firm that specializes in firearms’ licensing and, in some cases, the expertise of an attorney may be required. And, those services are not cheap. They may very well cost the applicant thousands of dollars. 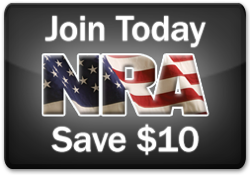 Our objective is, then, to expose, in minute detail, just how difficult it is for most law-abiding Americans – other than those individuals who fall within certain exceptional categories, such as retired police officers, judges, and politicians – to simply exercise their natural right of self-defense as codified in the Second Amendment to the U.S. Constitution. In our next article, we get into the guts proper of what is actually involved in obtaining an unrestricted concealed carry handgun license. We begin by discussing the procedure for obtaining a “Civilian Full Carry License” in Nassau County, Long Island, New York. As Nassau County is our businessman’s hometown, he decided that he would obtain a Nassau County handgun license first. He would learn that a “Civilian Full Carry License” is not easy to come by. He would also learn that, once he received that license, a Nassau County “Civilian Full Carry License” would permit him to carry a handgun concealed anywhere in the State of New York, except for the five Boroughs of New York City. And our businessman, whom we will hereafter call Mr. Wright, will realize, shortly, that, one valid unrestricted concealed handgun carry license is, then, insufficient if one wishes to exercise the natural right of self-defense. So, join our businessman on his journey. Both he and you are in for quite a ride.